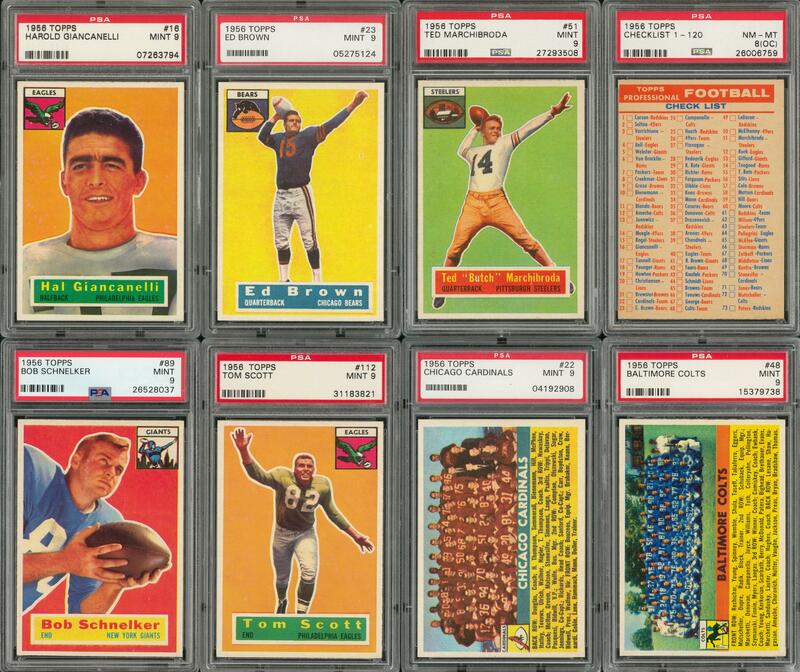 Each card has been graded NM-MT 8 or finer by PSA. 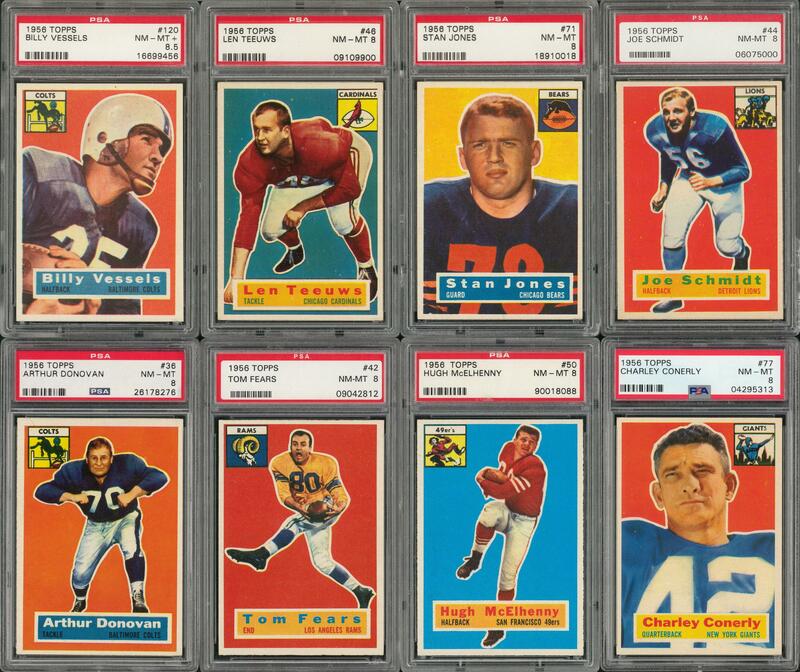 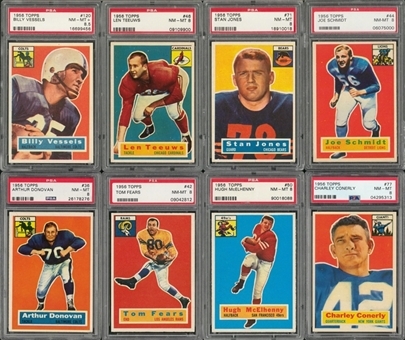 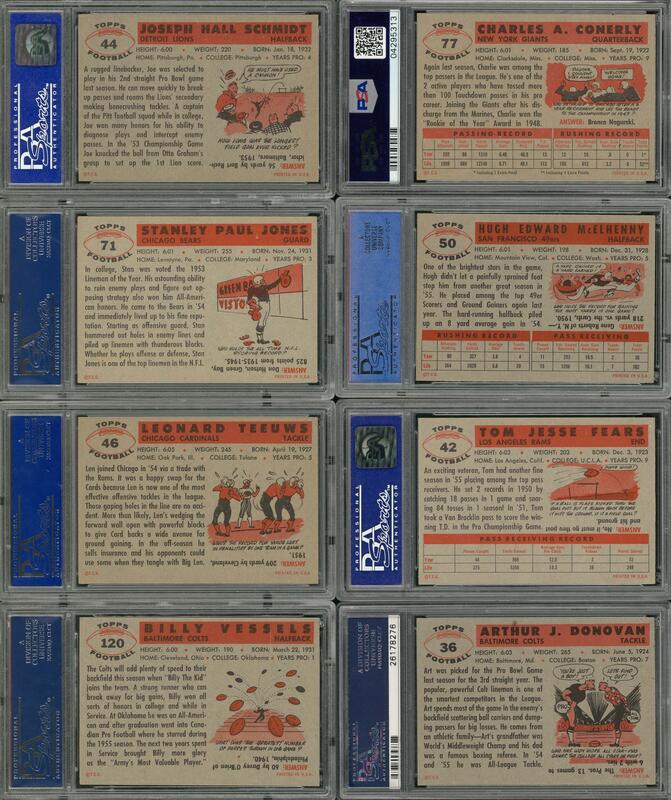 Offered is a 36-card collection of high-grade 1956 Topps Football cards including a nice selection of Hall of Famers and the issues' desirable checklist card. 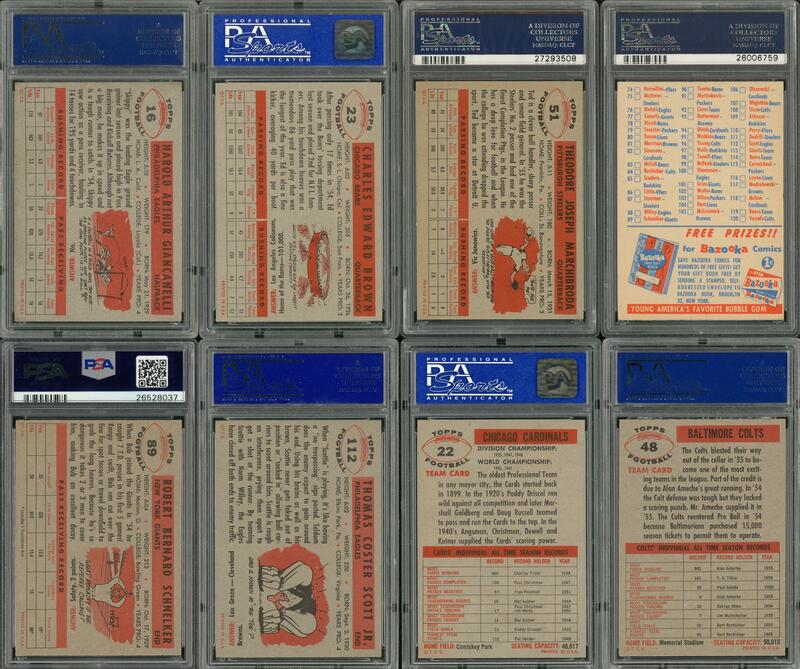 Includes: Graded PSA MINT 9: 7 cards w/#'s 16, 22 Cardinals, 23, 48, 51, 89 and 112; PSA NM-MT+ 8.5: 3 cards w/#'s 19, 100 and 120 Vessels; PSA NM-MT 8: 26 cards w/#'s 3, 7 Packers, 12, 14, 15, 24, 29, 32, 36 Donovan, 39, 42 Fears, 44 Schmidt, 46 Teeuws, 50 McElhenny, 68, 71 Jones, 75, 77 Conerly, 80, 82, 83, 84, 99, 108, 118 and CL (OC).